Samsung's recently introduced tablet, Galaxy Tab 730, is now available in India. The tablet was announced in August this year along with the Galaxy Tab 750. 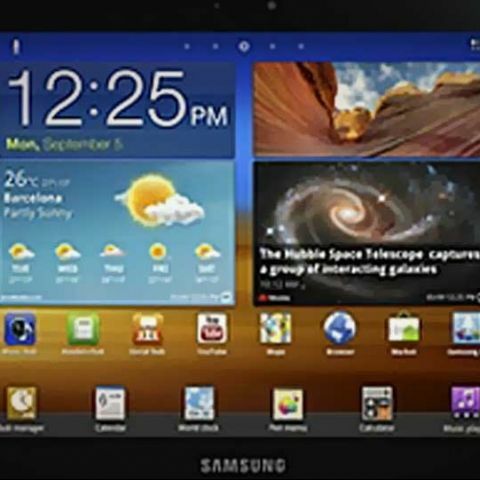 Both the Samsung tablets are pitted against Apple iPad 2 as well as the Android-based tablets – Motorola Xoom and HTC Flyer. The Galaxy Tab 730 has been priced at Rs. 32,500. However, the tablet is available at online stores such as letsbuy.com for Rs. 30,900. 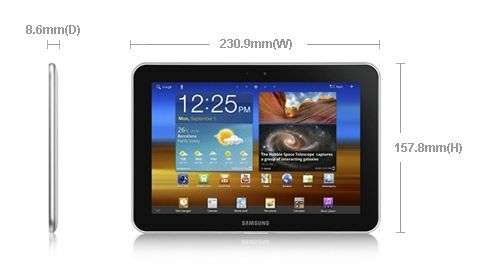 To refresh your memory, the Galaxy Tab 730, previously known as Tab 8.9, runs Android 3.1 Honeycomb operating system and is powered by 1GHz dual-core processor. The tablet has 8.9-inch touch display with 1280 x 800 pixel resolution. The tablet features 3MP primary and 2MP secondary camera. It has a 1GB of RAM and 16GB of internal storage. For connectivity, the tablet supports 3G, Wi-Fi and Bluetooth. The Samsung Galaxy 730 tablet uses a 6,100 mAh battery, which is supposed to give a back up of 9 hours. Check out the detailed specs of the Tab 730 here.